Win an ASTROBOT Kit from UBTECH Robotics! 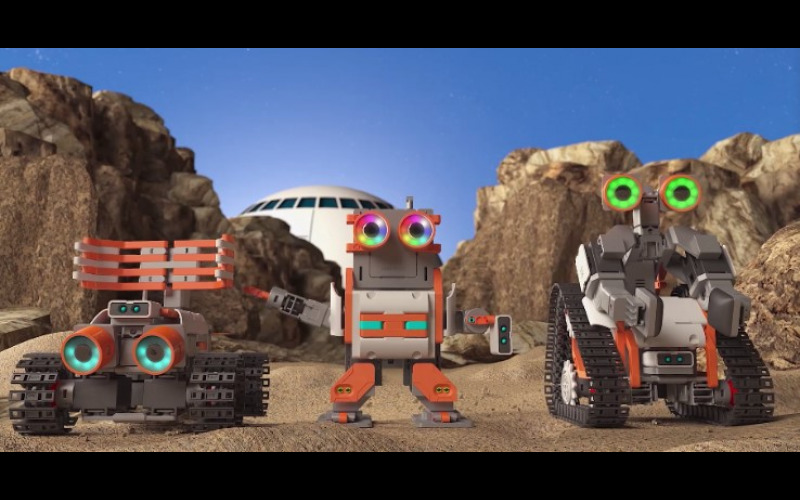 UBTECH Robotics is giving three lucky readers the chance to win their very own JIMU ASTROBOT Kit, part of the extraordinary codable robot range for children aged 8-14. The JIMU family of robots are especially designed to encourage creativity and logical programming to enhance science, technology, engineering and maths (STEM) skills - while having fun at the same time! Transform the kids' screen time into a coding adventure by bridging the gap between learning and play, ASTROBOT is the latest addition to the award-winning JIMU codable construction kit range, which also includes MeeBot, BuzzBot and TankBot. Using Blockly coding, kids can drag and drop blocks within the JIMU app to program their robot to move and perform actions. Perfect for children and teens, the ASTROBOT Kit inspires future inventors by allowing them to build and program three different characters; Astron, Rover and AstroBot, as well as their own designs through 3D dynamic tutorials and step-by-step coding in the JIMU app.